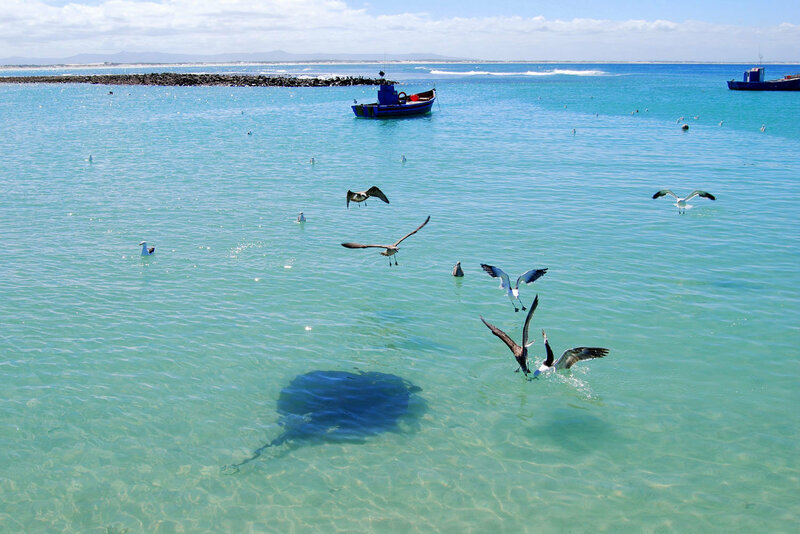 The Struisbaai harbour is a hub of activity that serves as the entry point for the many colourful fishing boats. Tourists are drawn to the activity at the harbour as there is a beach, a well-known restaurant and something the locals affectionately refer to as Parrie. Parrie is an unusual attraction as he is actually a resident stingray. Initially lured to the Struisbaai harbour because of the morsels thrown over the boat by returning fisherman, Parrie has now been a regular at the sunny spot for several years now. Parrie has grown so accustomed to the locals that he can now be approached by people and be fed! Although it is always good to keep an eye on the swaying tail, he is in fact a very friendly creature that has become both a tourist attraction and something of a town mascot. Parrie was once caught by the Two Oceans Aquarium but the locals demonstrated a fierce loyalty to Parrie and got him returned to his home. 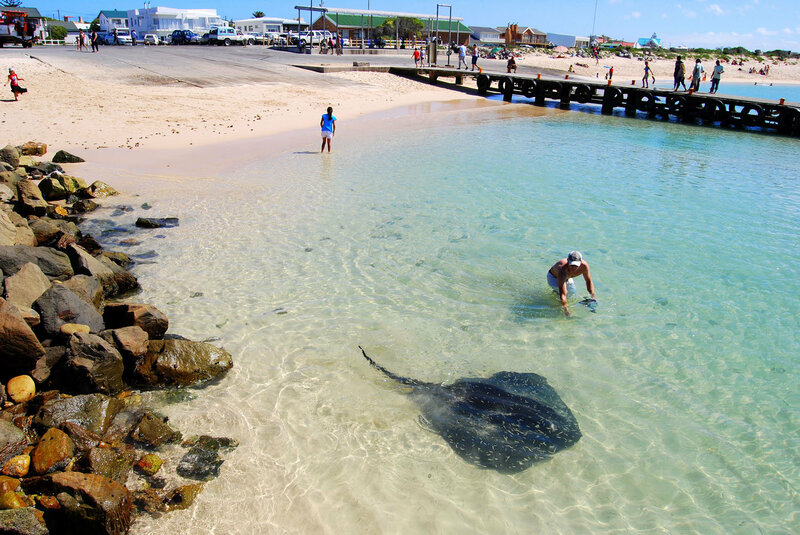 Now there are a few more stingrays that have joined their famous friend but they are still shy. Parrie on the other hand is happy to greet anyone (especially if they come with food in hand!) and you can generally spot him as he is the largest of the group. 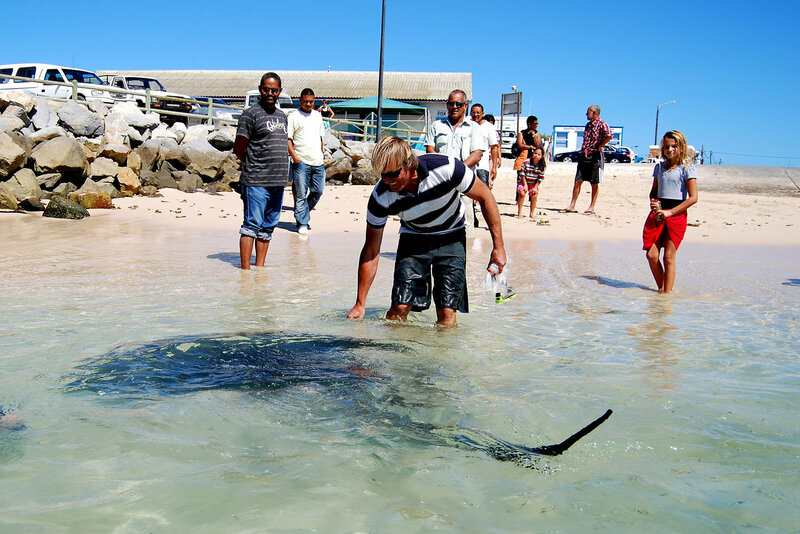 Purchase a pilchard or two and go down to the Struisbaai harbour to take part in one of the stranger, and more unique, outdoor adventures.